Yeastie Boys UK beers are brewed right here in the UK and are available in can and keg. Divine Hammer is a rye amber ale with chocolate, biscuit and berry fruit notes on the nose, a clean and spicy malt backbone and a long lingering bitterness. In a world where hops dominate, and malt places second-fiddle, this is a beer that bucks the trend. A celebratory beer by Yeastie Boys. They said it couldn’t be done, they said that it would be undrinkable (and, to be fair, many of them still do)... But those who know us know that we like to do our own thing. This (approximately annual) batch of imperial-strength Rex Attitude is a self-indulgent celebration of being awarded the Morton Coutts Trophy for Innovation at BrewNZ 2011. Dedicated to all the peat freaks who have let us know how much they enjoy Rex: your love helps us soldier on through all the hate – thank you. The world’s first heavily peated single malt ale. 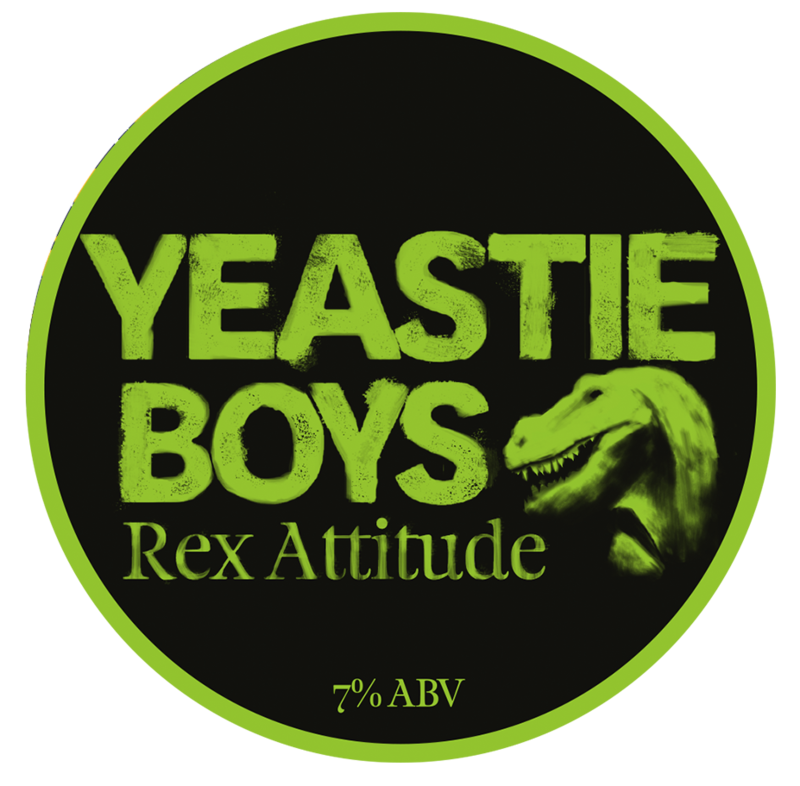 Rex Attitude is an innocuous game changing beer that is possibly the smokiest in the world, certainly the most polarising. Yet it is very delicate and drinkable for those who can get past the initial shock. The favourite beer of both Yeastie Boys, it was infamously described as like ‘tonguing your grandad’. A quaffable cloudy white ale that is perfect for those afternoon sessions after a day’s work or play. Pours a cloudy pale straw colour with a dense mousse-like white head. A perfumy coconut and vanilla note on the nose with a little citrus and spice, and bready grains from the wheat. The mouthfeel is full for such a pale beer but still very light and elegant. The beer finishes with a cleansing acidity, a faint spicy note, and only the mildest touch of citrus for the almost non existent hops.